It’s that time of year again. Time to go back to school. Can you believe it?! I know the Target Dollar Spot has been preparing us for this moment for a couple of months now, but I still can’t believe it’s already time to return to the classroom. This summer I had the opportunity to present a few professional development sessions centered around the back to school season and everything it entails. From setting up and organizing classrooms to establishing routines and procedures, we covered lots of ground! In my opinion, one of the most important things we as teachers do at the beginning of the year (besides setting the foundation for strong relationships) is to establish those routines and procedures. This goes hand-in-hand with following rules and being a good citizen. So today I wanted to chat with you a little bit about how I set the groundwork for developing good citizens in my classroom. 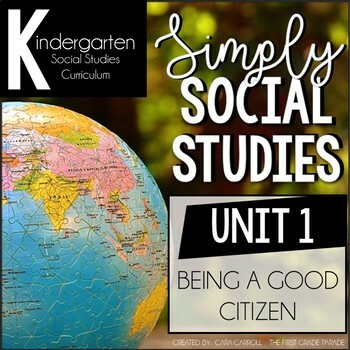 In both Kindergarten and First Grade, we start the year with our Social Studies unit on Being a Good Citizen and Good Citizenship. While the core ideas are pretty much the same, there is a slight variation in the skills and concepts I teach to my Kindergartners vs. my 1st graders and the activities look different in both grades. For our Kindergartners, it’s really important to help them understand what rules are, why we have rules, and how to follow them. Many of our K babies have never been in a school setting before and their horespme “rules” look and sound A LOT different than those to which they’ll have to adhere at school. Our 1st graders are already familiar with rules, so I start the year by reviewing what/why/how and then we brainstorm & agree on different rules for our classroom. We use positive sentence frames for our rules and they really focus on kindness and compassion (We will respect one another. We will encourage one another. We will listen when others are speaking. We will treat others with compassion. Etc.) We do this in Kindergarten also, but scale it down just a bit. First up, let’s talk about Kindergarten. Part of being a kind friend and good citizen can also be attributed to the decisions we make, so I also teach my kids to understand what good decisions look like. We discuss different scenarios and the kids brainstorm to determine which decisions are bad or good. Then we take it a step further and discuss WHY it’s either a good or bad decision and HOW to change a bad decision to a better one. Consequences from decision making can be a tough pill to swallow so it’s important to empower our kids with the understanding behind their choices. Because these concepts and skills are SO important, I like to carry them over on a cross curricular level as well. I incorporate the themes and concepts into language arts and math through mentor text read alouds, whole group writing activities, crafts, math games, and more. This is how I’m able to “fit it all in”. Now let’s move up to 1st grade. As I said earlier, most of our 1st graders are already familiar with the concept of rules. At least, we sure hope they are 😉 Since I want to make sure we ALL understand …and establish my expectations… we review what rules are, why we have them, and how to follow them. We also discuss who makes rules, who enforces them, and what consequences we might face if we break those rules. In 1st grade, we take these concepts a step further and learn about the difference between rules and laws. It’s always funny to hear my kids have those side conversations that start out like, “You can go to jail if you run in the hallway”, LOL!!! Always makes me smile 🙂 Understanding this concept also lays the groundwork for part of our Social Studies unit on Community Helpers. We discuss who enforces laws vs. who enforces rules and we also discuss various scenarios where students have to determine if a law or rule is being described. I also want my students to understand that their character impacts the relationships theyhave with others. I set high expectations when it comes to maintaining these character qualities. To help my students understand these concepts, we model right and wrong scenarios, read aloud books with matching themes, and have a lot of whole group discussions. We also talk a lot about example and non-examples of those characteristics and attributes. When it’s all said and done, I want my students to be able UNDERSTAND and APPLY the concept of “good citizenship” like it’s second nature. One of the most important things we can do at the beginning of the year is to establish a safe environment where students KNOW they will be treated with kindness and compassion by everyone in their classroom. 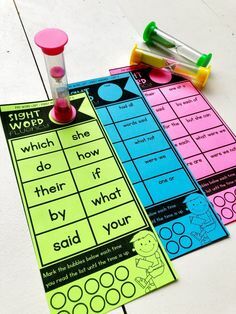 Setting those expectations from the very first day and reinforcing them through different activities and discussions helps our kids to understand their importance. Not only establishing rules and boundaries, but ensuring your kids know WHY those rules and boundaries exist and WHAT they can do to meet your expectations is crucial! Kids need to understand the value behind what we say and why we say it…the “buy-in” is so much more genuine when they do! How do you help set the foundation for a structured school year and help your students develop the qualities of a good citizen? I’d love to hear your ideas! 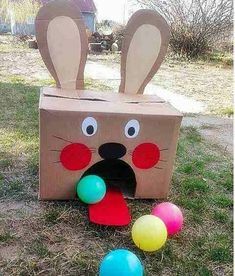 If you’re interested in any of the activities or ideas you see above, you can check them out in their entirety by clicking below. If you’re interested in MORE Social Studies activities, check out the links in each product description. 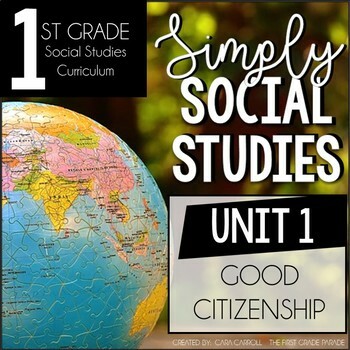 You can also find linkes to these Social Studies resources available in mini units for both K & 1! 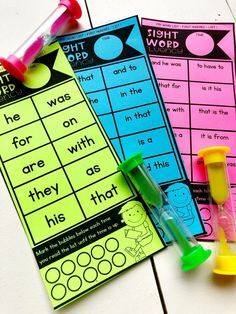 Hi Cara – I LOVE these units and I am so excited to use them in my kindergarten classroom this year! I have already purchased all of the units you have available! Will you be creating the remaining units listed as “Coming Soon”?! Thank you for sharing your hard work and creativity! Hi Bethany! I’m so glad to hear that! I’m currently finishing the first grade units and will gradually release them throughout the month. The remainder of Kindergarten will follow after that! Hope that helps! God bless!